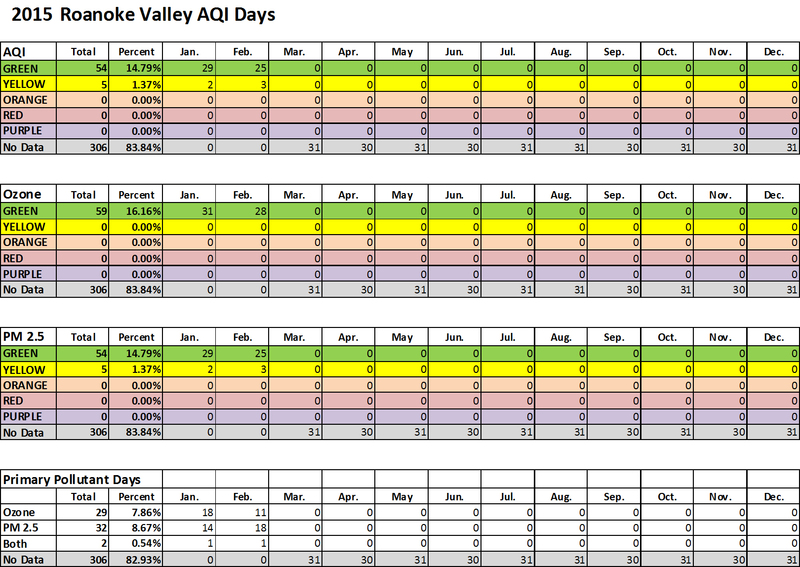 Our air quality tracker spreadsheet has been updated for February. The main pollutant for the month was PM 2.5, continuing the trend for this to be an area of concern within the Roanoke Valley. This entry was posted in Uncategorized and tagged air quality. Bookmark the permalink.